Lukasz Cywicki is a graphic artist and relief printmaker based in Poland. 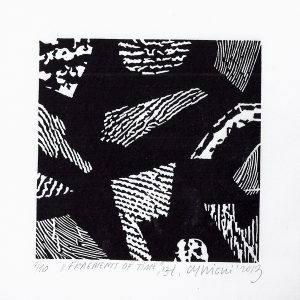 His work is inspired by photographic fragments, structures and forms which are often portrayed in his relief prints. 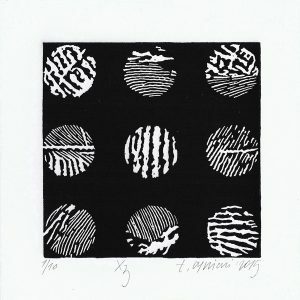 My first experience with graphics, was a student at the European Academy of Arts in Warsaw, where he studied for a year and got to know the basics of all printmaking techniques. 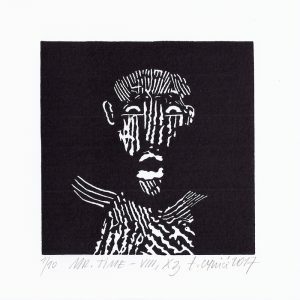 After studying at the Academy of Fine Arts in Poznan, where for five years developed their skills in the art of relief printing - linocut, and realized a degree in the Studio of Professor Zbigniew Lutomski. The source of my inspiration comes from nature, the analysis of which is the basis of my actions, and the main motive of my graphics work. In the surrounding reality through photographic camera "cut it out" of interest to me fragments of structures and forms, looking for a nice, natural contrasts, textures, natural lighting and color. While continuing to work on the graphic image, through his work, but also necessary in this case, selection, come to a final decision which is to choose a topic that in later stages of simplification is intended to create a new kind of "purified" reality. For several years now, I'm working and I develop graphic cycles :: Day by day "- this is a great form," Touch of Time "," Space of Time "," Person of time "- a small graphic form, and separately Exlibris. 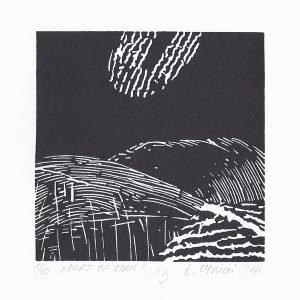 All these works are made linocut technique, where the importance of the concept of time. 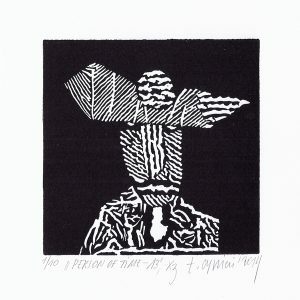 From the very beginning of their studies, printmaking was most fascinated me, and relief printing - linocut, became the foundation of my artistic expression. Graphic art is very appealing, even mysterious. My favorite technique is relief printing graphics - linocut. In this technique, I find direct, so important for the artist direct contact with the matrix layout. At each stage of work, I check the shaped graphic image. It is again my participation in this project, which I find very interesting. 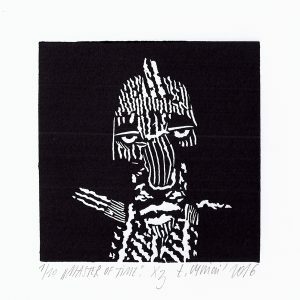 It gives the opportunity to present art made in a variety of graphic techniques on a common exhibition. Any such comparison is interesting. 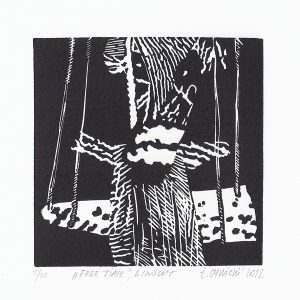 All of my work done in linocut technique are black and white. I think the black and white graphics are as interesting as the color. My favorite paper is Fabriano Bianco, and black offset ink. The music is very diverse, it all depends on the moment. For each artist to a greater or lesser extent, affect the work of other artists, graphic designers, painters, sculptors, but also actors, musicians and directors. The same was true with me.